Today I’m reaching for a brand that we don’t see too much of here on Casas Fumando considering the amount of lines they actually have. I don’t think there’s any particular reason for it, they are just cigars that Tony and I both seem to rarely get a hold of. For the most part, the ones I do get come in samplers or as parts of bombs or trades. I try to keep notes on cigars like these so that after I’ve had a few I can put together a full review on them. Today’s cigar comes to me courtesy of our trusty reader Jeff(a.k.a. jjo) in a super secret bomb that he surprised me with. Thanks again Jeff! The brand I’m referring to is of course Carlos Torano. In fact, there’s only one other review up on our site from a Torano line and it’s the Carlos Torano Casa Torano that I reviewed back in March 2011, almost a whole year ago. 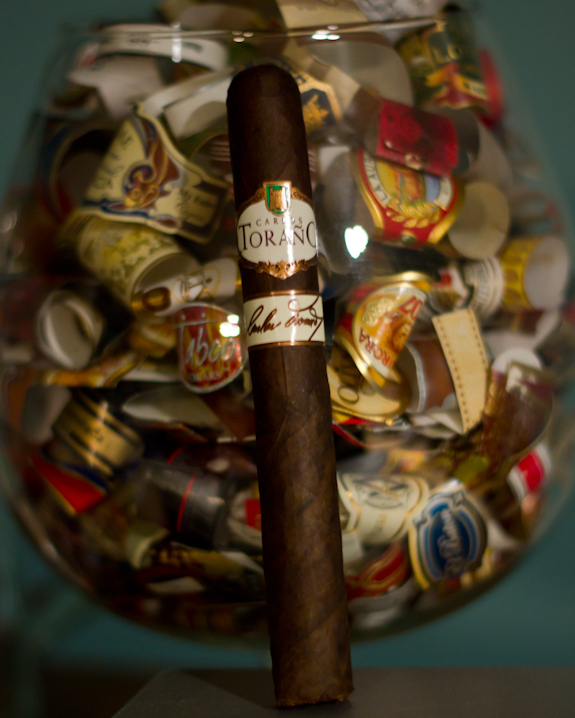 Today’s line I’ll be reviewing is the Carlos Torano Signature Collection in the Toro vitola. This particular blend seems to be hailed by a few retailer websites as the best blend in their inventory, so it will have some big shoes to fill in this review. The interesting mix of fillers and binder leaves is a curious one, and on paper it sounds very tasty. 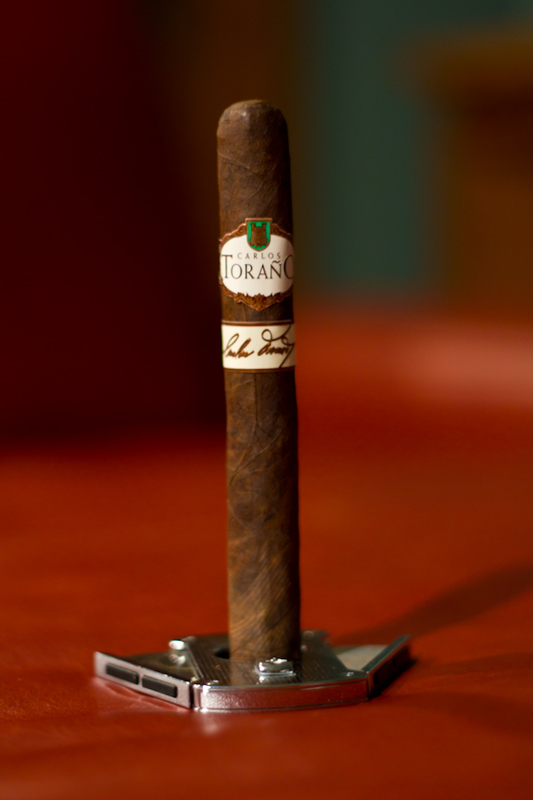 The blend seems to have been first released back in 2000 and according to the official website, Torano.com, it comes in 5 vitolas ranging from a Perfecto up to a Churchill. •	The wrapper looks to be a very dark and consistent chocolate color, almost too dark and consistent, perhaps a bit of dye was used here? If you’ve been following some of my posts here or even on Facebook (Like us Please! 🙂 ) and Twitter, I think you’ll find I’ve historically not been a huge fan of the Carlos Torano lines. I’ve never found any of them to be bad but just not exactly the profile I would gravitate towards. I think we found a slight exception to that rule today. 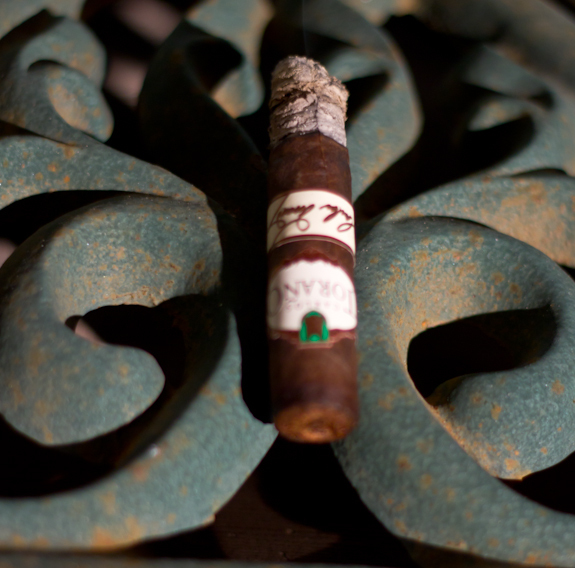 Although this cigar didn’t knock me off my socks, I did find it to be a nice relaxing and enjoyable cigar. The burn was nice, the flavors were varied and enjoyable and it never tried to go out on me. I was a bit surprised that the body was a lot weaker than expected, the ligero didn’t pack the punch I was preparing for but I’m fine with that. 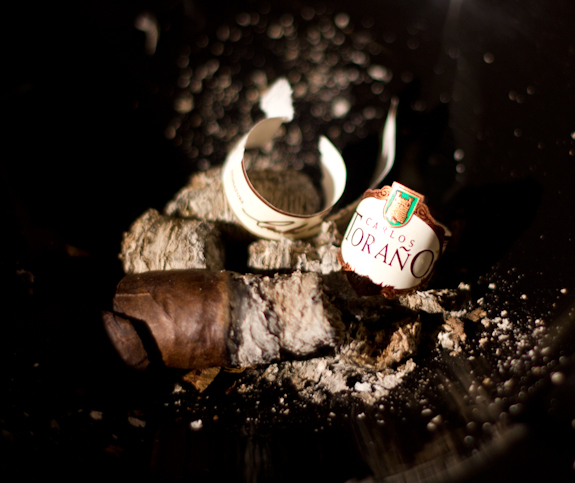 The last bit of the cigar did go a little bland but it wasn’t off putting or bitter, just bland. My only real gripe is the price. I know, I sound like a broken record here but if I’m forking out almost $8 for a cigar it should be a very good cigar, not just a “good” cigar. Having said that, I did see them on sale for some more attractive prices so if you can find them on sale I’d say they are worth a try. I don’t find too many bottles from the Lake of Bays Brewing Company at my local store but when I saw this one recently I decided to give it a try. The brewery is located about 2.5hours north of the city of Toronto in a place called Muskoka. You might have heard of Mukoka before, it’s a pretty popular escape to a cabin or cottage on some beautiful lakes and forested areas where a lot of celebrities actually own cottages. Todays offering is their Mocha Porter. I was expecting a bit more chocolate in this brew but for the most part it’s more like a coffee porter. Lots of smooth and tasty coffee flavors without any bitterness and very little malt. There is a touch of chocolate in there but not much. 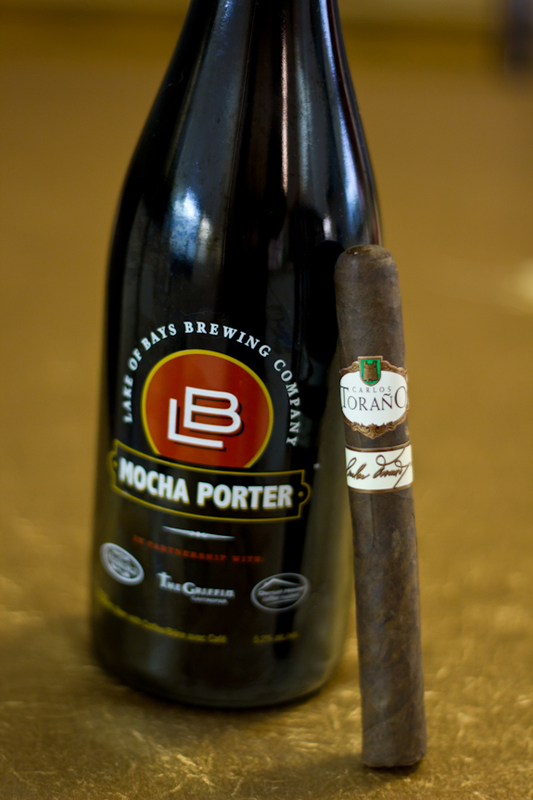 It actually paired very nicely with the Carlos Torano Signature Collection since the brew wasn’t too bold and complimented the flavors nicely. Nice review DT. I’ve never seen that brew before..sounds good! Is it common for those brazilian maduros to look so “rugged”? Thanks Dan. The brewery is pretty small so it seems pretty hard to find it in stores. If you’re ever up in the Muskoka area you could always pass by. And good point on the Brazilian Maduro, now that you mentioned it the vast majority of them do seem to be pretty rugged. I’m sure there are exceptions to that rule but it’s an interesting point. Great review, Daniel. I actually like the robusto vitola, as it seems to deliver more consistent and concentrated flavor. I agree with you on the price, but they pop up on Cigar Monster on occasion for a really good price. 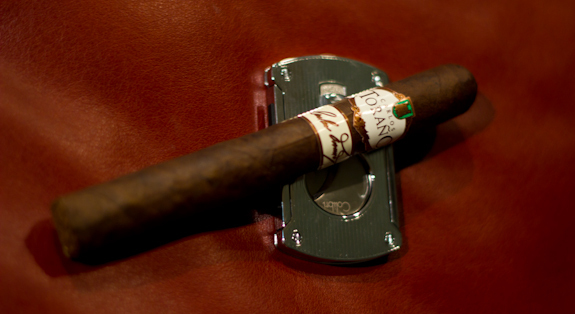 I haven’t had any of Torano’s new releases, but I think the Exodus 59 Years and the Master are great cigars. Sounds like a great pairing. I’ll have to track down some coffee porter to keep around. Thanks again for sending this one along Jeff. And I agree, the prices you can find on them when they are on sale make them worth the cost for sure. GJ,AU (Great job, as usual) – This is one of the few Torano lines I have yet to try. Now you’ve made me want to seek out one or two next time I’m in town and get a chance to visit the B&M. I’m kind of the same way with most of the Torano lines. It’s not that they’re bad by any means, they just don’t seem to flip my skirt. Like they’re missing something, maybe? But ya, I see where you’re coming from, just missing that little something to set them a step above the rest. Let us know your thoughts when you get a chance to try one! 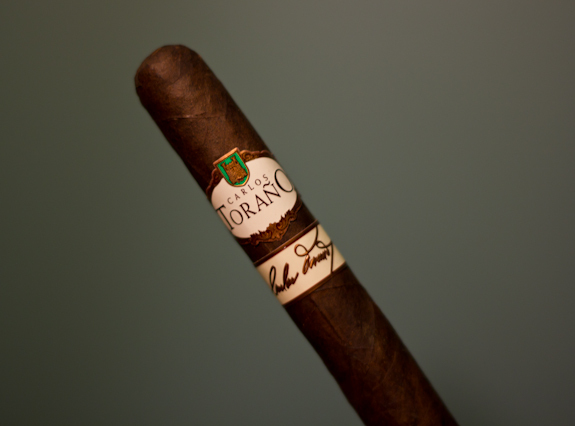 I’m curious to see if you think it’s one of the better Torano’s you’ve tried. And keep your skirt down at all times please and thanks! Yeah I am with you…. 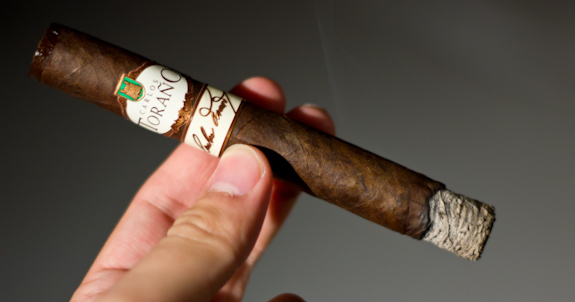 The Torano lines never really excites me… Kind of like the Alec Bradley stuff…. I have a Torano in my box, that I just keep pushing aside…. Not sure why.. Might need to fire it up soon… Thanks for the reviewski…. I’ve tried this line several times and I really want to like it but I just haven’t been able to. Will the Toro I recently smoked change my mind? Here’s were I’ve been tripped up before, flavor and taste. This Toro tastes leathery and woody. There is also an undercurrent of earth throughout. But there is sourness on the finish I just can’t get past. Normally I would give the cigar the benefit of the doubt and chock it up to youth. But after trying this cigar several times, I think it’s just in the blend and not a youth issue. 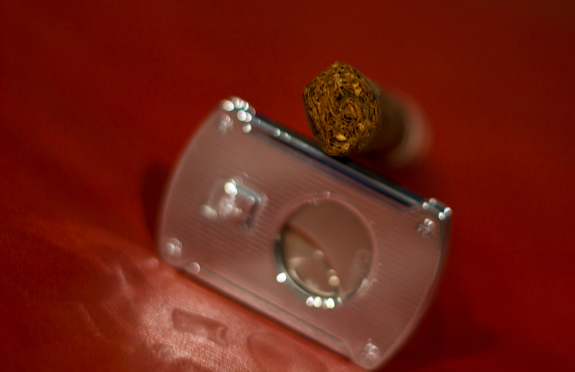 So in summary, the cigar looks great and is rolled well, I just can’t really get into the flavor of these cigars. The Signatures are very popular cigars though, so I know a lot of people like them, just not me. I think this is oone of tthe most important information for me.